If you’ve never been to Spain you might think the only language spoken there is Spanish or Castilian, si? 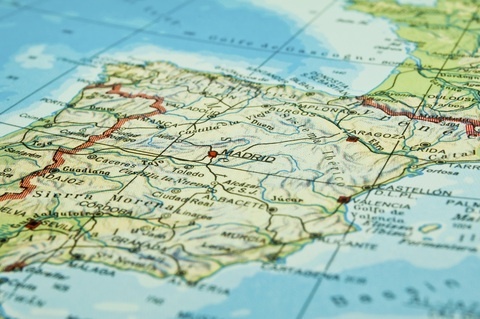 Castilian Spanish can be described as the specific dialect of Spanish spoken in north and central Spain. Or it can be used to contrast the Spanish spoken in Spain with that in Latin America. Spanish is only one of the languages of Spain. Spanish is the national language of Spain and the most useful anywhere you travel within the country. But there are three other officially recognized languages and up to a quarter of the people in Spain speak a language other than Spanish as their first language. Each is beautiful in its own right and lovely to hear. Euskara, sometimes known as Basque, is the language spoken by the Basque people, an ethnic group on both sides of the Franco-Spanish border. It’s not a Romance language so it doesn’t fit the Indo-European family of languages and linguists continue to discover information about its origin. As with any language bits of Euskara have filtered into English as the words “silhouette” and “chaparral” can show. Catalan is a language spoken in Spain as well as parts of Andorra, France, and Sardinia in Italy. It’s a combination, of sorts, of Spanish and French, with Italian thrown in for good measure. About 4 million people speak Catalan as their first language and millions that use it as a second. The alphabet is similar to English with the addition of a Ç and conjugation similar to Spanish. Galician may sound to an unpracticed ear much like Portuguese as vocabulary and syntax are very similar. The languages evolved together until a political split in the 14th century sent them on their own paths. However, if you speak Galician you could easily travel in Portugal. The language is spoken in both countries with about a 3 to 1 ration, Spain to Portugal. Basque, Catalan, and Galician are the three main languages other than Spanish that one can hear across the country, but there are many other smaller ethnic groups that proudly speak their own languages. If you travel around you may be graced with Aragonese, Asturian, Caló, Valencian and others. Each is a beautiful language and you would be lucky to be anywhere you hear them. I knew about Spanish and Castilian, but I never knew about the other three. Very informative. Who knew that there were so many languages for such a relatively small country. I wonder if there are any problems for Spaniards traveling within the country as far as communication goes. I knew that there were different types of Spanish spoken, but did not realize so many of those resided in Spain. I never realized or thought to consider that there are several languages in Spain, very interesting! That is really interesting. It is great to see the small groups of people holding on to their heritage.